But what if I told you there’s a mask that doesn’t firmly fit into either camp and instead, has created something of its own category? That’s exactly what Marie Veronique Probiotic + Exfoliation Mask has done, and it’s ready to replace the majority of your spa day treats. 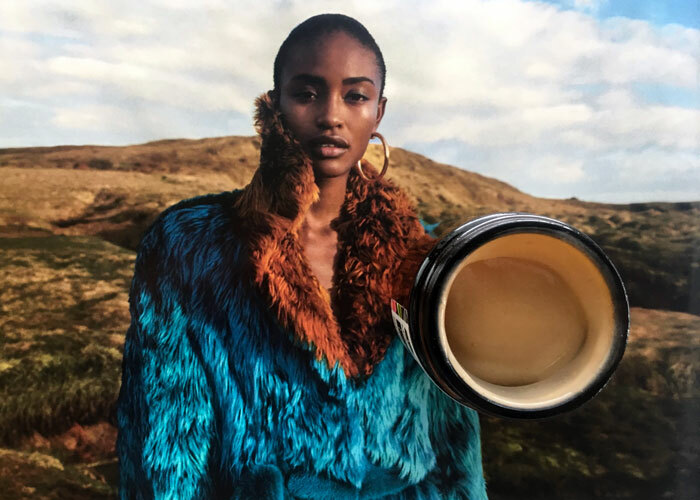 Though, OK, it can’t yet replace a good clay mask, Marie Veronique Probiotic + Exfoliation Mask is an exceptional multitasker and something of a skin food, thanks to its smart blend of lactic acid, fruit enzymes, shea butter and probiotic cultures. You’re going to be seeing more and more probiotic skincare treats going into 2018; Marie Veronique will lead the way with its scientifically backed, thoughtful and clean blends. If, somehow, Marie could figure out how to incorporate a good, cleansing clay into this creation, this mask seriously could treat everything your skin deals with daily. Instead, Marie Veronique Probiotic + Exfoliation Mask gets to work on your parched, dull skin by gently exfoliating and brightening via acids while keeping natural skin flora in check thanks to a special pre/probiotic complex. 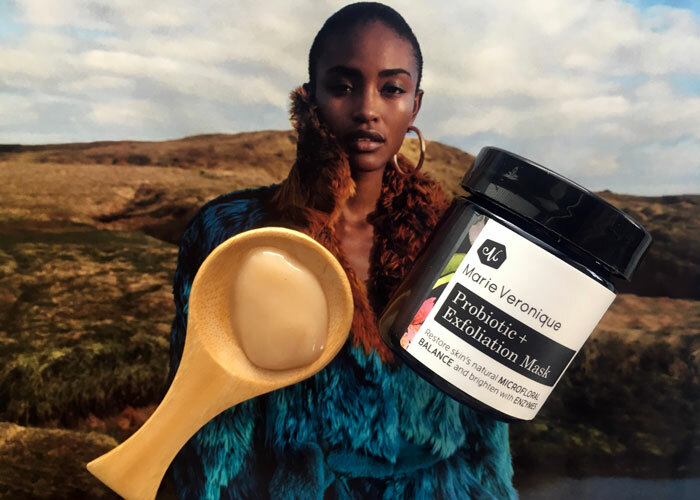 I was drawn to Marie Veronique Probiotic + Exfoliation Mask because of my constant struggle with fungal acne (also known as pityrosporum folliculutis or malassezia folliculitis). While there are some ingredients in this mask that may irritiate fungal acne (namely, shea butter), I took a chance on it because of the balancing probiotic blend that could help balance my own skin flora. 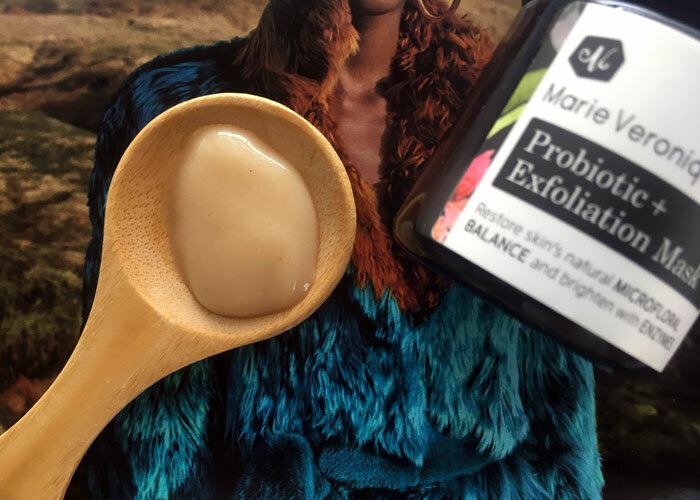 I like to use Marie Veronique Probiotic + Exfoliation Mask a few times a week, and because it’s pre-made, it’s simple to swipe on a teaspoon and then chill for 5 minutes. Talk about saving time on a Spa Sunday! I can’t claim that this mask worked overnight miracles on my fungal acne breakouts, but I will say that it provided a gentle deep clean to my skin. There was never any peeling, burning or itching with this mask, but I could tell that my skin seemed brighter and my pores seemed cleaner after each use. Other acid mask and acid toners, as much as I love them, can be too harsh on irritated, itchy facial skin in need of deep cleaning but also babying and TLC. If you’re new to acids and probiotic skincare, Marie Veronique Probiotic + Exfoliation Mask is the only thing you need to get going. I’ve said it before and I’ll say it again: This line is solid, and I wholeheartedly trust and admire Marie’s formulas. As a paying customer, I’d buy this again and again and absolutely recommend this line to those who just want a good, clean skincare line that makes it easy. Do you have any probiotic-packed products in your skincare routine? What masks do you use weekly? Ever tried Marie Veronique? Tell me in the comments section!